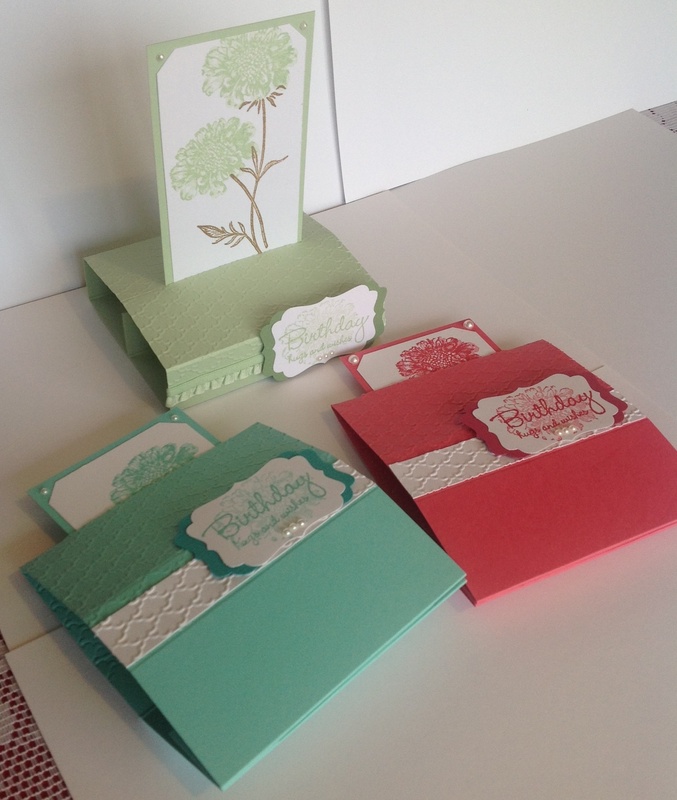 These cards were made using the beautiful new “In Colors” from Stampin’ Up! (Pistachio Pudding, Strawberry Slush & Costal Cabana) This was a fun card to make and I will be demonstrating it at a future stamp camp. 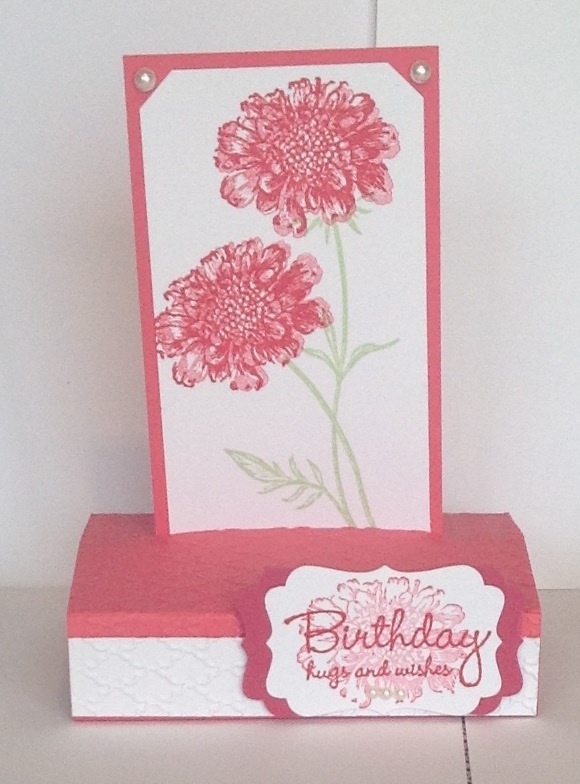 The card folds flat for mailing and fits a standard card size envelope. The stamp set used was “Field Flowers.” This set is so versatile. You will be seeing many more samples with it, as it is my current favorite set.